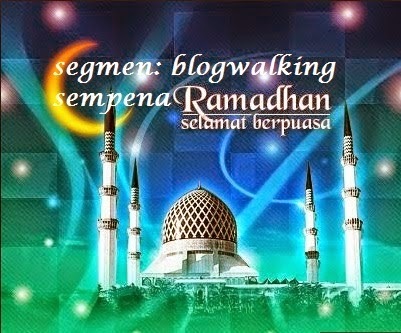 Alhamdulillah berkesempatan utk join Segmen Blogwalking by Ayu Insyirah. Jom kita ber-BW ok!! The health benefits of Rooibos tea or red bush tea as it is also known as, are numerous and remarkable. It is grown from a small shrub, which only thrives in the Cedarberg region near Cape Town, South Africa. 1. Caffeine free – The rooibos plant grows naturally without any caffeine. This is important, as it means it does not need to undergo a chemical process to remove the caffeine. It also means that anyone can drink it, including those who do not want to drink caffeine such as children & pregnant women. The other key benefit of no caffeine is that rooibos tea can be consumed in unrestricted amounts. Some South African’s will consume 5-6 cups per day. 2. Contains powerful antioxidants – Rooibos tea contains a wide array of antioxidants, which help to protect the body in a number of ways. Two polyphenol antioxidants called aspalathin and nothofagin are found in high concentrations in rooibos tea. These antioxidants protect the body by fighting free radicals. These are unstable cells, which attack healthy cells in order to stabilize themselves. The polyphenols also have anti-inflammatory properties and can safeguard against heart disease. 3. 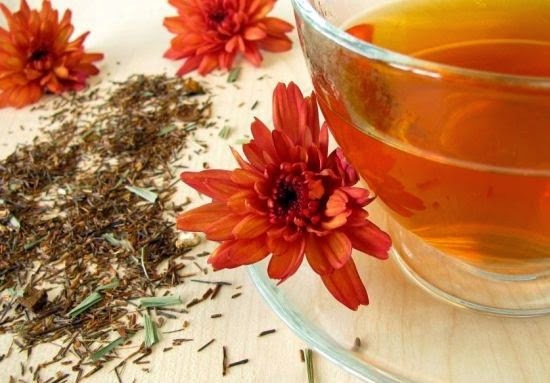 Prevents against some cancers – Some studies have demonstrated a link between consumption of rooibos tea and a reduction of cancer-causing chemicals. This is because of the high level of dominant antioxidants, some of which have anti-mutagenic (anti-cancer) properties. This means that they defend cells & DNA against damage and inhibit them from developing into cancer. 4. High mineral content – One of the key health benefits of rooibos tea is that it contains several minerals that are vital to health. These include: magnesium (essential for the nervous system), calcium & manganese (essential for strong teeth and bones), zinc (important for metabolism) and iron (critical for helping blood & muscles distribute oxygen). 5. Improves circulation – One of the many potent antioxidants in rooibos tea is called Chysoeriol. It can improve circulation by preventing the activity of the enzyme that triggers cardiovascular disease. Drinking rooibos tea also has been known to lower blood pressure and cholesterol. 6. Relieves stomach complaints – As rooibos tea contains high levels of flavonoids, especially one called quercetin. It has the ability to relieve numerous abdominal ailments such as cramps, diahorrea and indigestion. Flavonoids are known help to reduce spasm, inflammation and allergies. It has also been widely stated that the health benefits of rooibos tea extend to alleviating colic in babies. 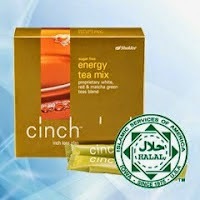 s it is totally caffeine free, it is perfectly safe for them to drink rooibos tea. 7. Aids absorption of iron – Unlike most black teas, which prevent the body from absorbing iron effectively because of the tannins they contain, rooibos tea supports the body in absorbing iron. Rooibos tea contains less than half the tannins of black tea. 8. Can relieve skin conditions – A recent found that rooibos tea can help you to look more beautiful! Rooibos tea contains phenylpyretic acid, which can help to improve acne, psoriasis and eczema. You can apply a freshly brewed and cooled tea bag to the affected areas and it will soothe and heal any inflammation. 9. Can protect against Parkinsons/Alzheimers disease – Drinking rooibos tea regularly can protect against a process known as lipid peridoxation. This occurs when free radicals damage brain cells and nerve tissue. If this is prolonged, it can lead eventually to progressive and deteriorating brain disease, such as Alzheimer’s. Tea has been used as medicine for centuries. Now modern science is discovering what people in China and throughout the world have long known: tea is good for you. 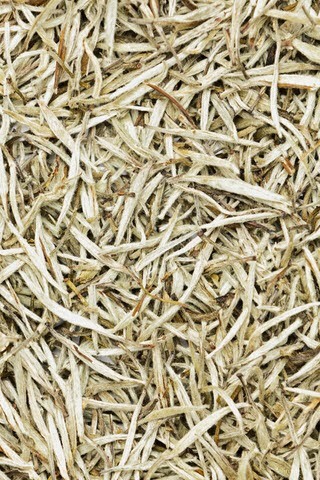 While green and black tea are very healthy, white tea is the least processed tea and has the highest antioxidant levels. It may be the supreme Drink of Health. White tea may or may not aid in weight-loss. Studies suggest tea may increase metabolism and encourage the body to burn more fat, but a balanced diet and regular exercise are more likely to produce results. Still, adding white tea to your weight-loss plan can't hurt. By now you can see that white tea has a great range of effects on the body and a tremendous number of benefits to your health. Its supreme power is in preventing disease and disorder. It is a superb tonic and one of Nature's great gifts. We encourage you to add it to your life. To your good health! A long standing tradition of Japanese culture, Matcha Green Tea is the highest quality powdered green tea available. Made from the nutrient-rich young leaves picked from the tips of shade-grown Camellia sinensis plants, Matcha Green Tea is steamed, stemmed, and de-vined before being stone-ground into very fine powder. 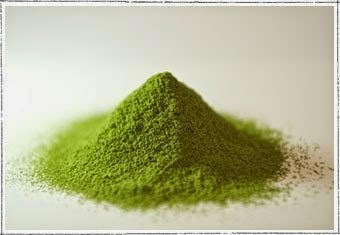 Matcha Green Tea powder is then stored away from light and oxygen in order to preserve its brilliant green color and antioxidant properties. This miracle elixir has been consumed for over a millennium in the Far East, and is now considered to be one of the most powerful super foods on the market today. Here we give you ten great reasons to enjoy a cup of Matcha Green Tea as part of your daily routine. We’ve all read this word before. Antioxidants are the magical nutrients and enzymes responsible for fighting against the negative effects of UV radiation, giving us younger-looking skin, and preventing a number of life-threatening maladies. Antioxidants are something that all health-conscious individuals seek from such foods as raw fruits, green veggies, and (let’s not forget) dark chocolate. The first amazing benefit of Matcha Green Tea is that just one bowl provides over 5 times as many antioxidants as any other food – the highest rated by the ORAC (oxygen radical absorbance capacity) method. You may have already heard that not all antioxidants are created equal. Green tea contains a specific set of organic compounds known as catechins. Among antioxidants, catechins are the most potent and beneficial. One specific catechin called epigallocatechin gallate (EGCg) makes up 60% of the catechins in Matcha Green Tea. Out of all the antioxidants, EGCg is the most widely recognized for its cancer fighting properties. Scientists have found that Matcha Green Tea contains over 100 times more EGCg than any other tea on the market. Drinking something just because it’s healthy can be a lot like swallowing medicine. It’s unpleasant and you dread it, but you feel obligated to do it. After all, it’s good for you… right? Sure, but wouldn’t you rather look forward to improving your overall well-being? Of course you would! Fortunately, unlike a lot of other teas which require sugar, milk, or lemon to make them palatable to the average consumer, Matcha is absolutely wonderful all by itself. It’s crisp vegetative notes are complimented by the savory taste of the L-Theanine amino acid making Matcha a tea that is truly unique in every way. So sit back, relax, and enjoy a delicious bowl of hot Matcha. Adakah anda memerlukan suplemen? Ramai yang tertanya pada diri sendiri perlukah saya ambil suplemen. Adakah saya tidak boleh perolehi segala nutrien yang diperlukan dari sumber makanan? Jawapannya "Boleh, sekiranya anda mengamalkan pemakanan yang sihat, cara hidup yang sihat di persekitaran yang sihat. Tapi berapa ramai orang di Malaysia yang mengamalkan pemakanan yang sihat, cara hidup yang sihat di persekitaran yang sihat? Ini yang menjadi persoalannya. Sana sini kita boleh nampak restoren makanan segera. Sana sini kita boleh nampak orang merokok. Sana sini kita lihat keadaan persekitaran yang dicemari. Kekurangan nutrien dalam sumber makanan. Kita tidak akan perolehi nutrien yang diperlukan oleh tubuh badan hanya dari sumber makanan semata-mata. Kalau 100 tahun yang lepas mungkin ya. Tapi zaman sekarang kebanyakan sumber makanan kita telah diproses dan diubah genetiknya serta penyediaannya yang memusnahkan banyak nutrien yang kita perlukan. Sistem penghadaman yang tidak sihat. Ramai sebenarnya antara kita yang mengalami masalah pembuangan. Dan kita menganggap ia adalah satu perkara yang normal. Sebenarnya tidak. Bayangkan berhari-hari kita tidak membuang dan toksin terkumpul di dalam usus. Toksin ini akan diserap dan menjadi punca kepada pelbagai penyakit. Penyediaan makanan yang tidak sihat. Masyarakat kita terkenal dengan penggunaan microwave. Ramai yang suka memanaskan makanan dengan menggunakan microwave. Penggunaan microwave menyebabkan kehilangan nutrien dari makanan. Juga kebanyakan restoren makanan segera menyediakan makanan yang telah siap diproses. Persekitaran yang tidak sihat. Kita selalu terdedah kepada pencemaran udara. Contoh yang paling mudah berapa ramai orang di sekeliling kita yang merokok. Dan kita sendiri tahu mereka yang menghidu asap rokok lebih merbahayakan kesihatan dari mereka yang menghisap. Tekanan. Antara lelaki dan wanita yang mana paling ramai mengalami tekanan? Mengikut The Star Online (bertarikh 19 Julai 2011) wanita di Malaysia berada di tangga ke-16 di dunia yang mengalami tekanan. Suplemen bukan hanya bila waktu sakit tapi untuk kesihatan berpanjangan. Ambil suplemen juga berpada-pada dan mengikut keperluan kita. Alhamdulillah berkesempatan untuk join Segmen Bloglist kali ni. Jom sesiapa nak join senang je. Klik banner di atas dan ikut arahan. Vitamin E is a vitamin that has properties and a fat-soluble antioxidant properties. This vitamin is naturally there are eight forms, which are categorized into types of Tocopherols and Tocotrienols. It was still further divided into sub-categories, namely alpha, beta, gamma, delta tocopherol and Tocotrienols. 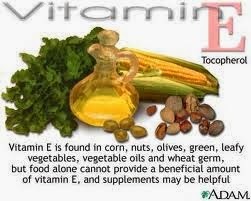 In the human body, the form of vitamin E is alpha tocopherol is the most active. Vitamin E is essential for our health, and generally help prevent and overcome some of the conditions that can occur in the skin. Antioxidant properties of Vitamin E to help ward off free radicals and keep skin fresh glowing. This vitamin also offers the benefits of skin protection from sun damage. Another benefit is to keep the heart, liver and kidneys to stay healthy. Useful antioxidant properties of Vitamin E protects our body cells from damage, thus helping to prevent diseases associated with gastrointestinal, cardiac and cancer. In addition, it also helps speed up the healing process and stimulate the generation of new cells. Keeping the immune system and ensure healthy liver and kidney function. Help delay the aging process, and prevent skin pigmentation. Pat the skin and hair, making it fresh and glowing. Help treat menstrual cramps and dysmenorrhea, and prevent complications of pregnancy. This reduces the likelihood of blood clots and improve the function of muscle tissue. Vitamin E also has the benefit of weight loss. Very effectively help improve fertility in men. Preventing mental disorders such as dementia and Alzheimer's. Almonds are one of the richest natural sources of vitamin E. A serving of 100 grams of almonds provides 26.2 milligrams of vitamin E. Although it is recommended to consume almonds in the raw state, but you can pick it up in the form of almond oil or almond milk. Sesame seeds, pumpkin seeds or sunflower seeds are a source of vitamin E, which is very good. Only a quarter cup of sunflower seeds will give you 90.5% of your daily vitamin E requirement. Just like Swiss chard, mustard greens are very nutritious vegetable. Vegetables that are similar or kailan cabbage are rich in Vitamin E, Folate, Vitamin A, C, and K.
In addition to well-known iron-spinach also loaded with Vitamin E, antioxidants, and many other important nutrients such as calcium and folate. Just like other leafy vegetables above, only 1 cup Turnip greens will provide you with a lot of Vitamin E, A, C, and folate the same. Kale is one of the many vegetables that contain vitamin E. Consuming one cup of boiled kale every day will give you 6% of the daily requirement of vitamin E.
Vitamin E is also found in many seed oils. Wheat germ oil is a vegetable oil that has the highest Vitamin E. Sunflower oil is an alternative that provides a lot of this vitamin. Hemp Seed, Coconut oil, olive oil is also rich in vitamin E.
Hazelnut (hazelnut type) contains a lot of vitamin E, as well as other beneficial nutrients such as vitamin B. You can also take these beans in the shape of a particular product. Pine nuts are imported beans contain lots of Vitamin - E. One ounce of pine nuts contains 2.6 milligrams of Vitamin E.
It is a high source of Vitamin E is the most preferred, as well as delicious, the price is also affordable. Only half an avocado naturally provide more than 2 milligrams of vitamin E. Unfortunately delicious and highly nutritious fruit is in season. Broccoli was ranked top as the most nutritious vegetables in the world . Moreover, this vegetable is also known as body detoxifiers good food and a high source of Vitamin E. One cup of broccoli offer this vitamin approximately 4% of your daily needs. Parsley also contains Vitamin E enough to supplement your daily needs. Although fresh parsley better, you can also use in the dry form is widely available in the market. Very tasty papaya is also one fruit source of Vitamin - E and are also rich in vitamin C. One fresh papaya fruit can meet your daily requirement of Vitamin E by 17%. Fruit or olive oil is a good source of Vitamin E daily to get you. You can add them to salads, pasta or eat bread. Generally dried apricot fruit eaten as a snack, and also contain many nutrients like fiber and vitamin E. You can also combine them into a fruit salad. Wheat is also a food that is rich in Vitamin E. Although Nutritionists say that processed wheat often lack essential nutrients due to processing, but it is still a rich source of vitamin E.
Especially the red peppers are a source of Vitamin C and antioxidants are quite good, including vitamin E in it. Corn oil margarine containing 8 mg of vitamin E offers persendok eat. Be sure to buy margarine that contains elements of corn oil. Remember, margarine is also high in fat and can cause obesity if consumed in excess. Both of these fruits are an important source to increase your intake of vitamin e. Half a cup of sliced ​​mango provides 0.7 mg of Vitamin E, while medium-sized kiwi contains 1.1 mg of this vitamin. Pistachios are a good snack to get vitamin E. Peanut butter is also a pretty good source, which contains about 2.5 mg/2sdm vitamin E.
Seasonings such as red pepper and paprika not only menyedapkan your dishes, but also add vitamin E and antioxidant intake. One tablespoon of red chili powder or paprika provides 2.1 mg of Vitamin E.
Tomato is one of the fruits of vegetables that can be used in any form into our food. Generally contains Vitamin E, C, iron and fiber. One medium-sized tomato fruit is known to contain 0.7 mg of vitamin E.
There are many foods that contain vitamin E, including lean meats, dairy products, eggs, corn, sweet potatoes, lettuce, cabbage, cereals and cod liver oil. Premature infants with low birth weight is more frail anemia due to deficiency of vitamin E.
Can affect the central nervous system and eye minus. Closely associated with cancer and heart disease. 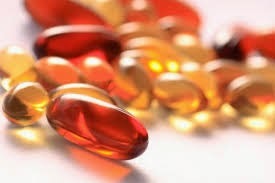 Especially the excessive consumption of vitamin E from supplements, can cause excessive bleeding and menstruation. Because the well is fat soluble, it can also cause poisoning. Herb-lax Penyelamat dari Masalah Sembelit !